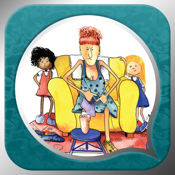 From the Milly, Molly series of children's books, Milly, Molly and Aunt Maude is now available as an interactive digital KIWA BOOK™. Milly and Molly had no idea that helping Aunt Maude would be such a challenge. NOTE: This Application has been designed for German audiences.